Hosting companies all boast about their cheap prices, high security and speed. When you’re looking for the right hosting for you or to switch hosting companies, you may not be sure where to start. It seems that all the companies have great features and fair pricing. Chances are, you’re either a blogger or a small company looking to either build a website or improve traffic on your current site and here our A2 Hosting review places A2 Hosting is a very good choice. If you’re not into reading the entire review and just want some quick parameters to judge whether A2 Hosting is the right web hosting for you or not, then you’re in luck! We have collected the most requested parameters here. Overall, we would recommend A2 Hosting for users with high standard, they’re expensive, but they’re good. A2 prides itself on offering high-quality service to all their clients, regardless of how large or small they may be. Some hosting providers offer very basic service plans to their lower priced subscribers and reserve their premiere service to those with large fees. This isn’t the case with A2 hosting. It did start out catering to a few small companies. It has grown and now offers top notch service to all of its customers. Do they have chat support? 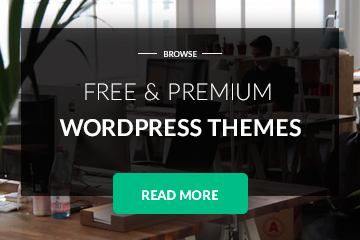 Do they have WordPress one-click install? Yes. There is a 30-day money back guarantee. 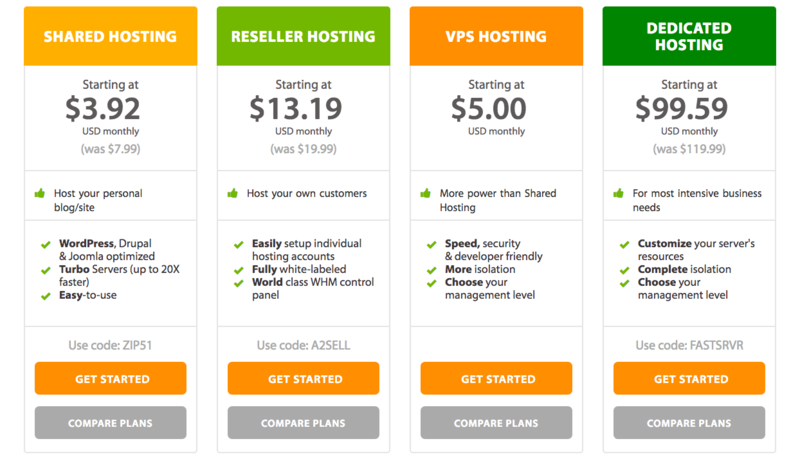 How does A2 Hosting service match up with its price? All members receive the same level of service. What is standard monthly fee? The standard package is $3.92 per month. As of October 2018 (Price might be changed). How do the servers stand up to their competition? A2 Hosting offers 20x the server speed of other hosting providers. What is level of customer service? A2 Hosting provides superior customer service 24 hours a day. What kind of website is this hosting service ideal for? This hosting service is ideal for any website and is geared toward those who are looking for increased speed. A2 Hosting offers a user-friendly management level and is perfect for both beginners and developers. Even if you’ve never managed a website before, you’ll have no issues with A2 Hosting. It offers programs that are already installed, such as WordPress, so you don’t have to worry about installing or creating it yourself. Every user’s server offers high-performance and top speed so you won’t have to worry about waiting or down time. Your clients will be able to use your site without getting frustrated at the load time. Thanks to their SwiftServer, all users are able to continue to work even if a few A2 hosting data center links go down. A2 Hosting uses cPanel which is the hosting control panel most people are familiar with. It lets the user preview applications before they install them. A2 Hosting is the ideal place for your personal blog or websites. Developer Friendly Hosting – A2 Hosting offers dozens of developer friendly web hosting options including Windows, Linux and Java. You can pick from any of their options for your website. There is something for every customer whether you’re looking for simple web hosting or if you want to write your own code. Domain Registration – A2 Hosting helps you register your domain. You can take advantage of their generic top-level domains or their featured country specific domains. Domain Transfer – If you have a domain on another web hosting provider, you can transfer it to A2 quickly, easily and affordably. All you need is your Extensible Provisioning Protocol Code (EPP) from your current registration company. The gurus at A2 Hosting are there to help along the way if you run into any problems transferring your domain. The prices for each SSL are listed transparently on the A2 Hosting site. You can choose from any when you sign up or you can change later on. SwiftServers Fast Hosting – A2 Hosting knows it’s important that their customers have super-fast servers so they use SwiftServers fast hosting. They offer CloudLinux, CloudFlare CDN and HTTP/2. Their packages start as low as 43.92 per month. Even their fastest hosting platform is less than $10 per month. They offer speed to all of their users regardless of price. Compare Hosting – When it comes to hosting packages, you can compare the right online at A2 Hosting. They offer four main packages: Shared hosting, Reseller hosting, VPS hosting and Dedicated hosting. It really depends on whether you’re looking to host just your own personal blog or if you need it for your more intensive business needs. Again, A2 Hosting is not alone in offering these services and features. They just do so at a much faster speed than other hosting services. Next step in the A2 Hosting Review is to go through the quality of the A2 technology . A2 Hosting doesn’t pretend to have reinvented the wheel. Some of their services and technology are available with other hosting providers. However, they offer the at a faster speed, reasonable cost and with amazing customer service. Solid-state drives: A2 Hosting offers this in almost all of its packages. The difference is that SSD is much faster than other drives. Instead of having to communicate between different locations like you do with hard disk drives, SSD have all the information in one place. It saves on time and speed. Cloud Hosting Solutions: A2 Hosting is supplemented by cloud hosting so you don’t have to worry about losing your information or functions if a site goes down or becomes unresponsive. Raid-10 Storage: Your data is stored in multiple places so that if one goes down, your information is not lost. If one hard drive fails, it can be replaced quickly using the information stored on other drives. This is unique to A2 Hosting and something they proudly offer their customers. Up to date developer tools: A2 Hosting offers the latest version of all the popular and useful developer tools available. A2 Hosting is not the cheapest hosting provider on the market. And, they are okay with that. They offer high-quality service and speed that other web hosting companies simply cannot match. However, the cost for A2 Hosting is still very reasonable and it does come with a 30-day money back guarantee. Note: Prices as off October 2018, please check website before purchasing since prices may differ. Compared to other web hosting companies, A2 Hosting pricing is comparable. It isn’t as cheap as some, but it offers a lot more than most. They compete with companies like Godaddy.com when it comes to pricing and hosting packages. A2 Hosting understands that some of their customers will know absolutely nothing about web hosting and will need help every step of the way. Other customers will know exactly what they need to do and just need a platform on which to do it. The great thing about A2 Hosting is that it works for both kinds of users. Whether you’re looking to build a single blog or if you need an interactive site for your customers to use, A2 Hosting offers the support and features you need. The secure technology is perfect no matter how large your company. One of the great things about A2 Hosting is that it has so many programs already built in. If you know absolutely nothing about web hosting, it’s okay. You can use any of the programs already installed to develop your website. If, on the other hand, you have a high-traffic business and just need somewhere to run your site from, A2 Hosting is great for that too. It comes with automatic backup and your data is never at risk of being lost. It is user-friendly and allows you to develop your site, your way. Many people like to save money and therefore the interest for coupon codes – or discount code if you like – is always overwhelming. We have looked into the matter and the conclusion is that you can save up to 51% when using the A2 Hosting Coupon Code – use a link on this website and press “Web Hosting on the A2 Hosting website that comes up you will fin the A2 Hosting Coupon Code below the features of the offered hosting solutions. A2 Hosting is really known for their superior speed and performance. Customers are more concerned with speed than with anything else. Nobody will hang around waiting for your page to load. They will simply move on to another company. The most impressive part of A2 Hosting is the time to first byte speed. This is basically how long before the first piece of information gets to the user. They do live up to their claims on this issue. A2 Hosting can handle servers all over the world. Even though they only have 2 sites (North America and Europe) they have no real issues hosting sites regardless of location. Customer support is top notch. Not only do they get back to you quickly, but they do so at all times of the day. They also offer many different support channels. You can choose their ticket center, live chat, email or telephone support. They use English-speaking agents so you will be able to understand the directions they are giving you. As mentioned above, pricing is a possible con with A2 Hosting. The prices start out low at $3.92 per month. However, if you have intensive business needs, the monthly costs are close to $100. This is not necessarily much higher than other companies, but they do have a lot of competitors with much lower pricing available. On-boarding can be frustrating with A2 Hosting. Rather than just a few simple steps to set up your account, you feel like you are bouncing back and forth between your welcome email and the site itself. It isn’t difficult; it is just a bit time consuming. In general, A2 Hosting is a web hosting provider that does offer much faster speed and performance. However, unless you have high traffic and a need for speed, this hosting service doesn’t really differ all that much from other web hosting services. The pricing is a bit high for beginners and small businesses. However, they do offer a 30-day money back guarantee and are known for their customer service. You won’t run into problems with A2 Hosting when it comes to customer service. They use English-speaking customer service agents who are knowledgeable and skilled when it comes to hosting and developing. They want to make sure you can actually understand the person on the other end of the line when you need help. A2 Hosting has gurus available 24/7 to answer your questions. They are available 365 days a year. Unlike other companies who will send you a message at 3 a.m., A2 Hosting actually has specialists working who are able to help you in the middle of the night. They are able and willing to talk you thru development and web hosting. They offer live chat support, telephone service and a ticket system so you can track the resolutions offered by A2 Hosting support. How good is A2 Hosting? The verdict regarding A2 Hosting is that the hosting a good alternative to some of the other largest providers of hosting on the US market today such as GoDaddy and Bluehost. The A2 Hosting product is just as good as the larger competitors and do actually perform better in some areas. A ranking of 9.82 out of ten is impressive and reflects our view on A2 Hosting. All in all, the conclusion of this A2 Hosting reviews – a very good choice for your next hosting provider especially if you plan to have a lot of traffic. A2 Hosting Review – approved.